Russian-built Varshavyanka (or Kilo class stealth) submarines, upgraded for India, could hit not only vessels, but also targets on land with cruise missiles, experts said. The modernization would also involve the submarines’ avionics. After an upgrade, the Russian-made Indian ‘Varshavyanka’ submarines of Project 877 EKM will be able to strike not only vessels, but also ground targets with cruise missiles, Igor Vilnit, CEO of the CDB ME “Rubin” that designed the submarines, said. He also said the possibilities of the strike missile complex Club-S, installed on these submarines, would be expanded, reports TASS. “After the modernization, ships of 877EKM project will be able to use two types of missiles - 3M-54E against naval targets and 3M-14E against ground targets,” - Vilnit said. 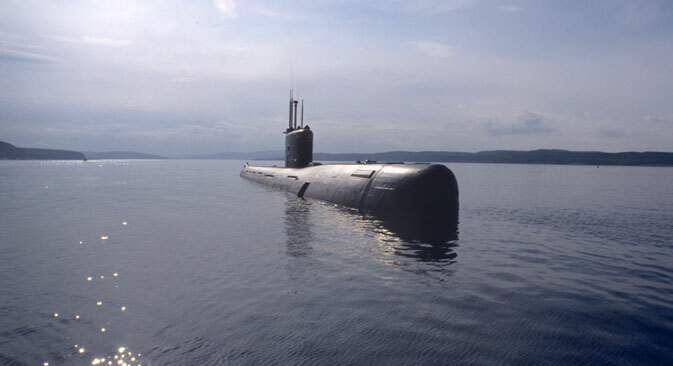 In addition, the modernization process would involve part of the submarines' avionics. “In some cases, the Indian side installs their own equipment. The architecture of the ship allows for it, as it has a substantial modernization potential,” the head of “Rubin” said. The Russian ‘Varshavyanka’ stealth submarines, which are being built under project 636.3 for the Black Sea Fleet, is a further development of the project 877EKM. These submarines have been significantly upgraded and equipped with the latest weapon systems, electronics and acoustics for the Russian Navy. In August last year, Andrey Baranov, “Rubin” deputy director of foreign trade and military-technical cooperation, reported that Russia has decided to offer assistance to India as reparation for all non-nuclear submarines. This is the second repair and extension of service life of nine diesel-electric submarines of Project 877 EKM, Baranov explained. India had purchased ten ‘stealth’ submarines of Project 877 EKM (Kilo class) from Russia. After the loss of “Sindhurakshak” in 2013, nine vessels are left. The Russian-built ‘Sindhurakshak’ submarine suffered a minor fire incident in 2010 and a major one on the night of 14 August 2013, followed by explosions which resulted in its sinking at Mumbai's naval dockyard, where it was riding at anchor. At the time of the incident there were 18 sailors on board, all of whom died. Earlier, on February 26, 2014, also in Mumbai, smoke engulfed the ‘Sindhuratna’ submarine when it was at sea off Mumbai for routine training and inspection. The incident left two officers dead and seven injured. The probable cause of the accident was the leak of hydrogen in the battery compartment. Admiral DK Joshi, Chief of the Indian navy, resigned the same day, taking "moral responsibility" for the mishaps involving naval assets.